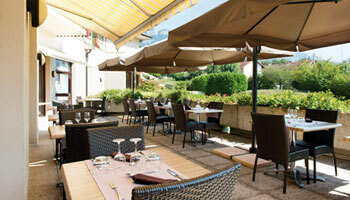 With its panoramic views over the surrounding park, our restaurant in Aix-les-Bains offers you a warm welcome. 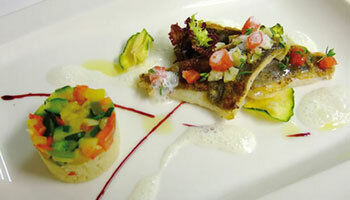 Come and savour our gourmet and light cuisine, tailor-made for your wellness cure and prepared with local products. 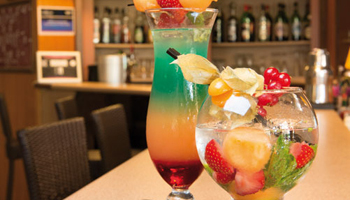 Enjoy cocktails in the cosy atmosphere of the Villa Marlioz bar as well as dance nights and shows in a fun atmosphere in the heart of Savoie. Enjoy our chef’s light and gourmet cuisine during your spa stay at Villa Marlioz. His recipes are made from local products, all concocted with great care and passion.